Benjamín is the oldest of the three Beale brothers, born in the town of Esquel, Argentina and raised on the banks of the Rio Grande/Futaleufu. He started fly fishing at the ripe age of eight, and has been fishing passionately ever since. He is one of the most experienced guides, growing up exploring the area’s waters, and developing a keen ability to teach the art of fly fishing while sharing his knowledge of local history, flora and fauna. Benjamín and his wife, Carolina, have two young daughters. Today, Benjamín is in charge of running the family business, El Encuentro Fly Fishing – welcoming repeat clients back to El Encuentro and looking for new clients, scouting new waters to add to El Encuentro's private water fishing program and nurturing time honored relationships with area landowners to offer his clients waters where few others, if any, can fish. Benjamín still loves to guide, and gets out as much as possible, always chasing the biggest fish for his clients! Tomás was born and raised in Esquel Patagonia Argentina. He started fly-fishing at the early age of 10 and has been guiding for the last 13 years. Lately, he has been traveling to the US, where he spends three months around Idaho, Montana and Wyoming fishing, improving his English and visiting every river he can get to. Alltough Tomas spends most of his time fishing for trout he also has done a fair amount of saltwater fishing in places like Mexico, Cuba, Belize, etc. He is a very enthusiastic and patient guide and no doubt he will put you on to nice fish. Julián was born and raised in Esquel, Patagonia, learned to fly fish with his dad at age 10, and has been refining his love of fishing ever since. Sharing many fishing adventures growing up with the Beale brothers, Julian eventually married their sister, Cecilia Beale and has been guiding with El Encuentro for many years. He and Cecilia have two young daughters, who are already learning the joys of fishing! In addition to fishing, Julian is an award-winning competitive mountain biker, skier and climber, having summited twice the mighty Aconcagua, highest peak in the western hemisphere. His breadth of experiences and love of the outdoors feed the enthusiasm he brings to guiding and the skill he shares with his clients. Greg’s interests and education are as broad and colorful as the Patagonian landscape. He may have started fly fishing at age 13, but first became a lawyer in Buenos Aires before he remembered how much he loved to fish. He decided to change his lifestyle and move to Patagonia, settling in Esquel several years ago. He has been guiding with El Encuentro ever since. In addition to guiding, Greg teaches entomology and fish ecology at the guiding school in Esquel. He is also a certified casting instructor and ties most of his own flies. Greg’s interests in biology fuel his concern about conservation and protection of ecological balances in Patagonia. Alun has been guiding with El Encuentro since 1997 and is practically one of the family. Born and raised in Esquel, Alun started fly fishing with his Welsh grandfather who founded one of the first fishing clubs at Los Alerces National Park. Alun enjoys sharing his knowledge of flora, fauna, and the history of Patagonia. A day on the river with Alun will be filled of great fishing, many amazing stories and lots of laughs. Alun has the patience of a great teacher. When not guiding, he teaches music in his guitar school in Esquel, were he and his wife have a young son. Alun is a great guitar player and passionate musician who loves to share Argentine music with his fishing clients. Martín was born in Cordoba, in the central heart of Argentina, a place that boasts the first fly fishing club in Argentina. 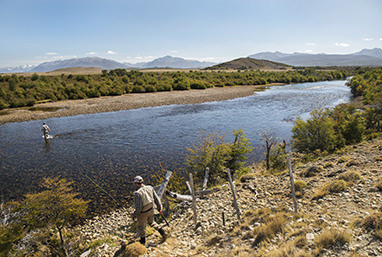 Martin studied Agronomy before dedicating his life to guiding fly fishing and sharing his love of rivers and the outdoors with clients from all over the world. He ties his own flies, which he proudly shares with his clients, and which frequently bring them great success. Martin is also trained in whitewater rafting and river rescue. "To me, flyfishing is a lifestyle in the romantic meaning of the word. It allows me to enjoy beautiful places and get in touch with people from all over the world, sharing what we love to do. Helping fishermen to improve on their casting, and watching the river´s different moments are my greatest passions", says Martín. fishing passion he became a fly fishing guide 15 years ago and has been guiding ever since. Looking for a peaceful place to live and work, he and his family decided to move to Trevelin town in 2015. Once established in the area, they met the Beales because of a common friendship, and soon after, Marcelo started working with El Encuentro as a full time guide. Marcelo's wife, Cecilia, is in charge of the El Encuentro Fly Fishing office, handling the bookings and keeping things organized. Marcelo spends most of his free time scouting fishing locations, and otherwise exploring the outdoors with his wife and two young kids. He also ties his own flies and is a spey casting instructor. Santiago was born in La Plata, a city close to Buenos Aires but really far away from any trout stream in Patagonia. Happily, every summer he traveled with his family to Patagonia where, as even as a young fellow, he found his passion and love for trout and fly fishing. In 2012, Santiago got his first job at a fishing lodge and started to walk the trail to become a fishing guide who loves and enjoys every day on the water with his clients. He is now proud to be a full time guide with El Encuentro Fly Fishing. Santiago lives in Trevelin, where together with his wife, Chelsea, they are waiting for their first daughter. When not guiding, Santiago finds time to go camping and fishing with his wife or friends, tying flies or doing some handicrafts at home. has been passed down through his family, with his father giving him his first fishing lesson at age 12. He was “hooked” from then on, and Roberto has created his life style around fly fishing when he can; teaching skiing and snowboarding when the fishing season closes. Roberto has Engineering and Tourism degrees; he also worked as a ski and snowboard instructor in California for two winter seasons. 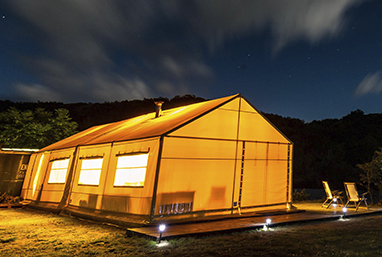 Having worked a freelance guide for several years in Chilean and Argentine Patagonia, Rob has found a good “home” with El Encuentro Fly Fishing since 2018. Rob and Verónica, his wife, live near Los Alerces National Park. family moved to Esquel. After finishing secondary school, he became a Ski Instructor, working La Hoya Ski Resort during the winter season. He joined El Encuentro Fly Fishing team as a Guide Helper this past season, working closely with and learning from our guides. Eager to keep learning more, he works very hard to improve his fishing skills. Alvaro looks forward to becoming a professional fly fishing guide in the future! Ezequiel was born and raised in Esquel, Chubut Province. He started fly fishing at the age of 15 when his uncle taught Ezequiel the fine skills of fly fishing and nurtured his growing passion for being on the river and casting a fly. While in elementary school, Ezequiel spent 2 (?) years in Montana near Flathead Lake, where his mother worked as an entomologist at the Flathead Lake Biological Station. Eze joined the El Encuentro Fly Fishing team as a Guide Helper a couple of seasons ago. He works hard to become a professional fishing guide. Having also studied cuisine, he loves to explore new places, by foot and skis. He also enjoys tennis and swimming. Eze lives in Trevelin. Kevin was born in Esquel, Chubut Province, but at an early age, he and his family moved to Carmen de Patagones, along the Argentine Atlantic coast. There he acquired his love for the outdoors. Always longing to return to the mountains, he jumped at the opportunity to work with his distant relative, Benjamin Beale and El Encuentro Fly Fishing. Kevin has worked as a guide helper for several seasons, refining his fly fishing and boating skills each year. This past season, he helped out guiding for several days. In late March, Kevin returns to University where he is studying Agronomic Engineering. He often says "one lovely thing about working with EEFF is the opportunity to enjoy wonderful experiences while always learning".